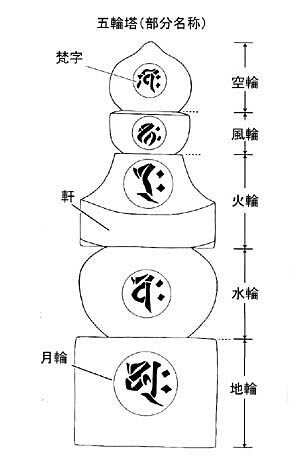 Authored by Myōan-ji temple chief Kandō Ichiyū, 寛堂一宥, who died in 1738, Genbun 3. Reprinted in Nakatsuka, 1979, pp. 133-135. Do note that, composed and issued by the Kyōto Myōan-ji, while this document does actually mention the name Fuke, 普化, 12 times, you see no reference to any "Fuke Sect", Fuke-shū, 普化宗, at all. "Towards an Understanding of the Origin of the Empty Spirit Mountain [i.e. the Kyōto Myōan-ji] and a Discourse about the Three Empty Spirit Music Pieces [i.e. Mukaiji, Kyorei & Kokū]". Dated 1735 (Kyōhō 20, 9th month) this hand-scroll bears the signature of Kandō Ichiyū, 寛堂一宥, 18th chief monk in the traditional Myōan-ji lineage, who died in 1738, Genbun 3, 2nd month, 23rd day (Nakatsuka Chikuzen, 1979, pp. 133 & 150). "As for Kyochiku's successor Myōfu, when he lived in the East of the capital [Kyōto Higashiyama], he established [lit. : build] the Empty Spirit Mountain Myōan Temple, and so the School [Jap. : ichi-ryū] of Fuke has been preserved till today." The full text is reprinted in Nakatsuka, 1979, pp. 133-135. Trsl. by Torsten Olafsson, 2010, 2013. 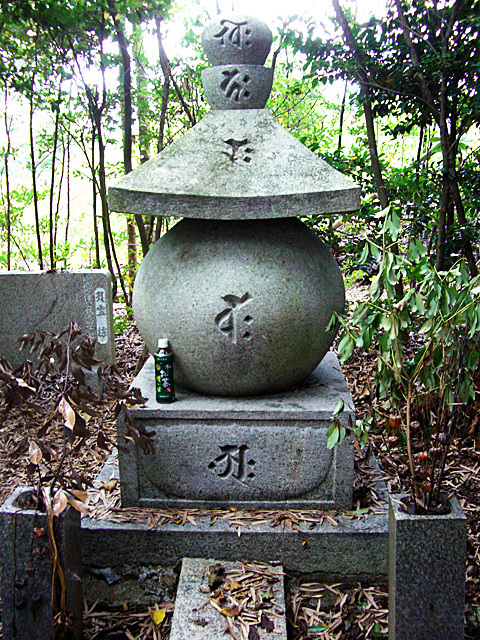 - is a very common type of grave monument in Japan. Earth, Water, Fire, Wind and Space. The gorintō is believed to possess strong magical powers.